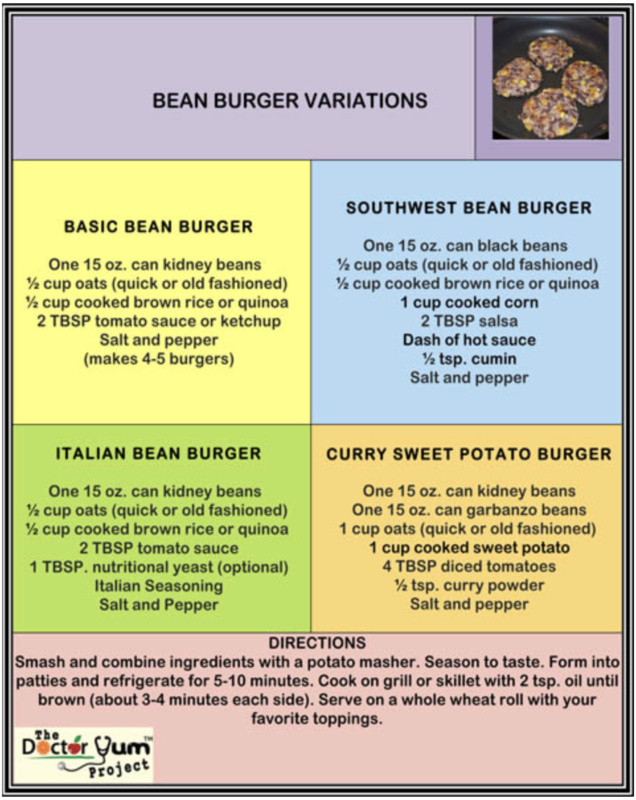 Bean burgers are a favorite way for our family to use up extra rice or quinoa, and make a FAST, vegetarian meal. Make two batches at once and serve the next day or pack for lunch. Even with a standard bun, these are SUPER cheap, at just under 1 dollar per serving. Top with whatever burger toppings your family enjoys. 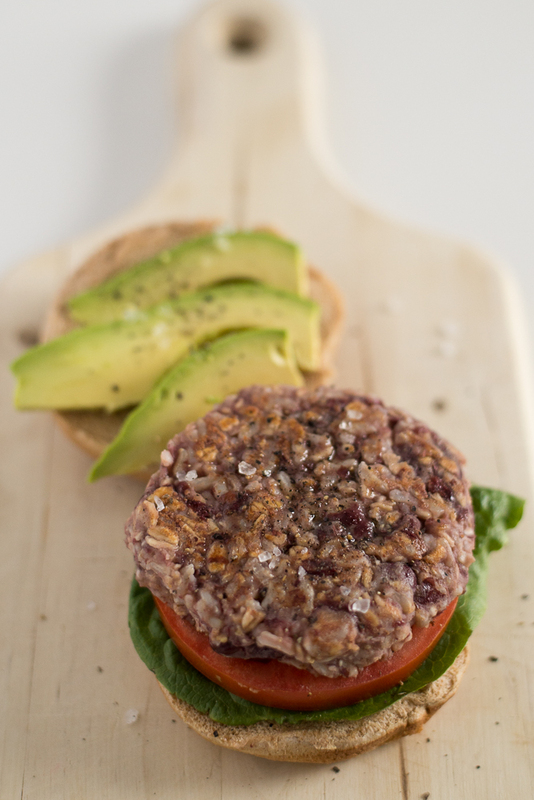 If you are eating gluten-free use certified gluten free oats, and your favorite gluten-free bun or wrap. This can also be served on top of a salad. Smash all the ingredients with a potato masher until the beans are somewhat smashed and the ingredients are combined. Divide into 4 equal parts and shape into patties. Refrigerate for 5-10 minutes. Then with a small amount of oil in a skilled over medium heat, sear each patty for about 2 minutes on each side until lightly brown. Serve on your favorite bun with your favorite toppings. Try some of the variations pictured in the featured table. For babies new to finger foods, Bean burgers are a nice option, as the ingredients are smashed up and softened before cooking. Take a finished burger and smash or cut into small bite-sized pieces for baby to grab.